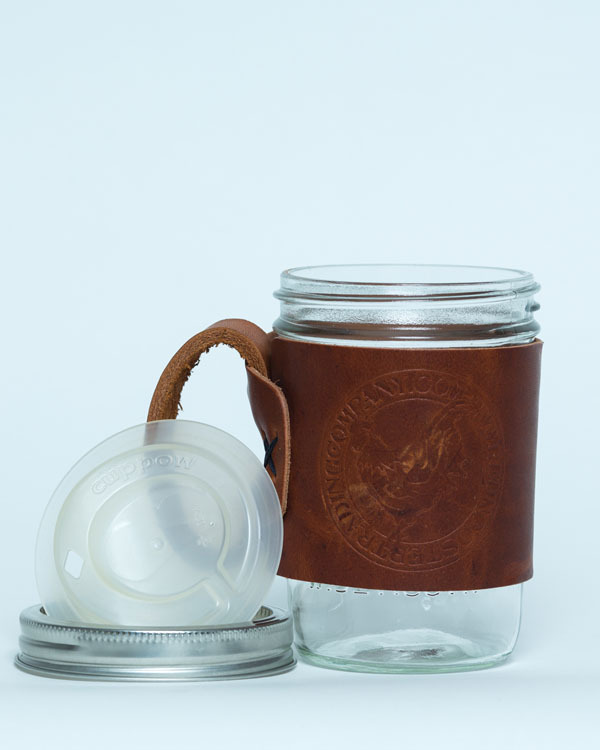 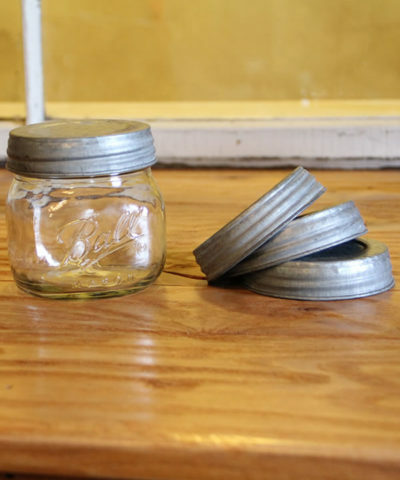 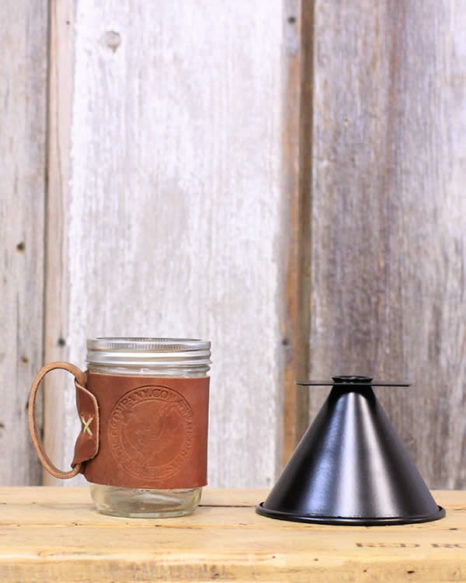 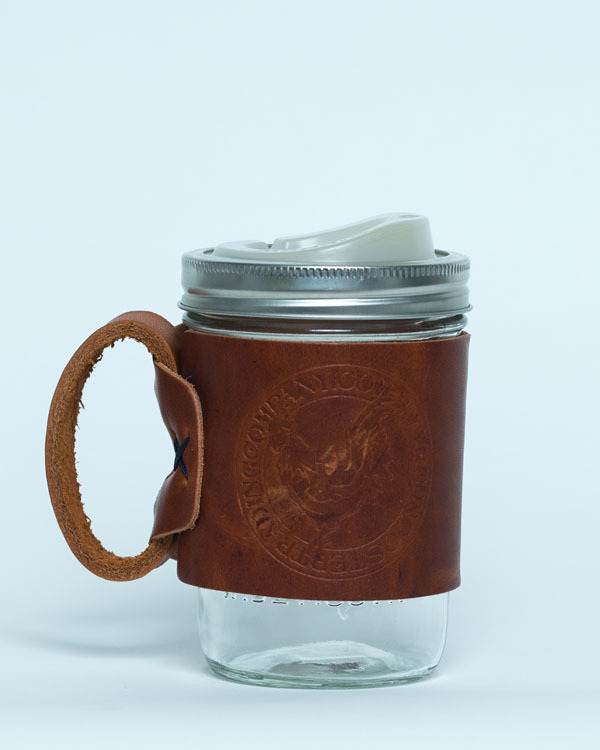 This handsome kit includes the Pour Mason, Leather Ball Jar mug & Wide Mouth Cuppow. 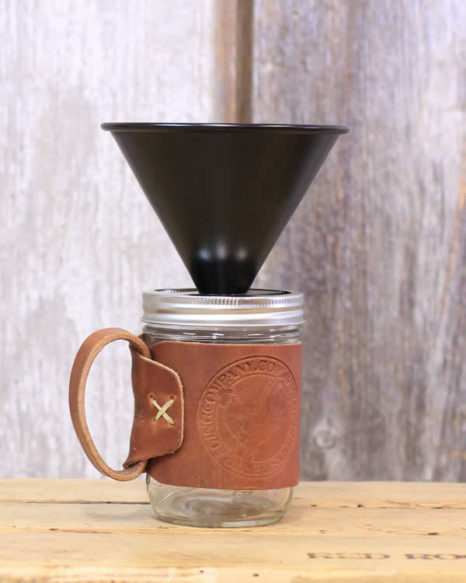 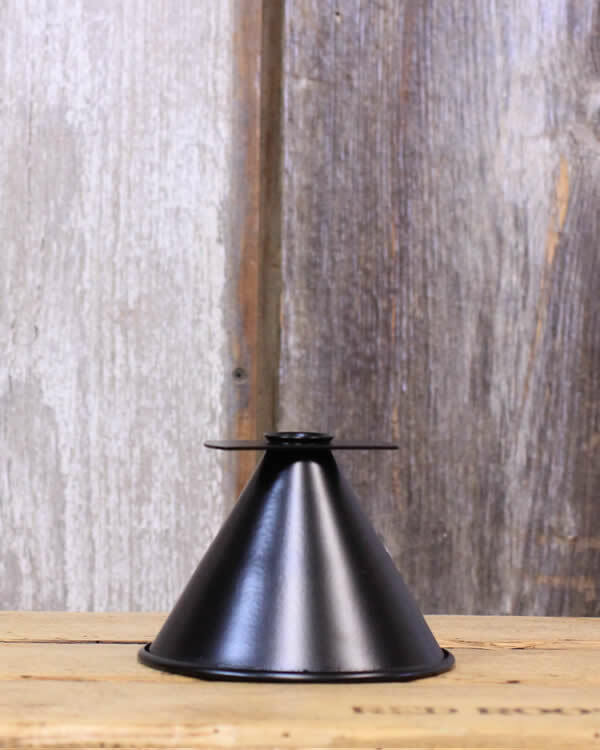 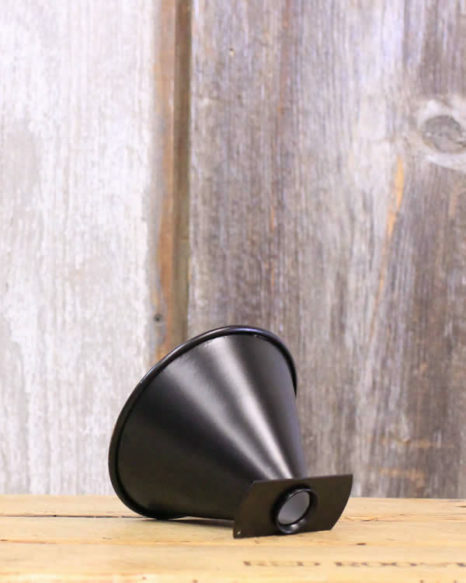 The Pour Mason uses any #4 coffee filter. 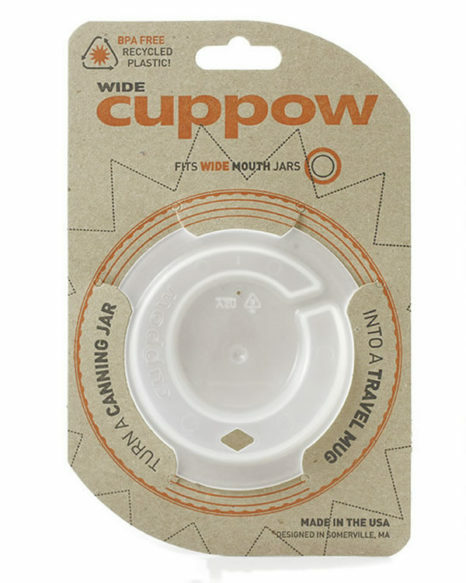 Brew coffee at home, the office or on the go using the Pour Mason with your Leather Ball Jar Mug and turn it into a travel mug with the wide mouth Cuppow.